A group of Asian American feminists have created a petition demanding that countries ban travel to Bond, nee David Campbell. In addition to the offensive contents of his videoes, Bond may also be guilty of violating privacy laws of countries like Japan, where it is illegal to secretly videotape someone; it is unclear if Bond has received permission from the subjects of his videos to publish and sell their image through his website. In addition to the recent victory against Roosh V., a similar strategy was successfully launched by feminists and Asian American activists two years ago against another pick-up artist whose videos and tactics are remarkably similar to those of David Bond. Julien Blanc faced international protest for videos also created in Japan where the self-described pick-up artist engaged in street harassment and physical assault, and for workshops where he coached men to follow his lead. Julien Blanc isn’t the exception in the pick-up artist community. He’s the rule. Julien Blanc made news this week after a video from a Melbourne, Australia workshop he conducted through his company Real Social Dynamics went viral. In it, Blanc makes wildly misogynistic remarks about how to sexually harass Japanese women in Tokyo. He gleefully declares (perhaps hyperbolically, perhaps not) that on his last trip to Japan, he was grabbing women off the street and shoving them in his crotch, and claims to sooth their concerns by simultaneously yelling the names of Japanese things — “Pikachu”, “Tamagochi”, etc. In one video, Blanc teaches his attendees to choke women to assert dominance over them and make them more pliant for subsequent seduction tactics. That’s not dating. That’s sexual assault, with a distinctly anti-Asian tinge. …Whether pick-up artists are violently harassing women on the streets of Tokyo, or using subtle verbal and physical cues to target women on the streets of New York City, the point remains the same: pick-up artistry is about manipulation. We stopped Julien Blanc from targeting Asian women with sexism, abuse and harassment. It’s time we demand that David Bond stop, too. 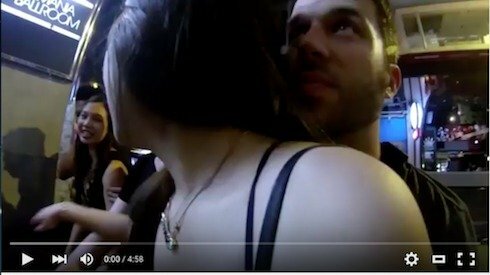 If you agree that there’s no place in a feminist world for the kind of garbage racism and sexism peddled by pick-up artists like Blanc, Roosh V., or Bond, I urge you to sign this petition —#StopDavidBond from harassing & sexually exploiting women in Asia — and share this post with your friends. Next Next post: Obama Poised To Nominate First Asian American Supreme Court Justice?